Earn up to 3,440 reward points. 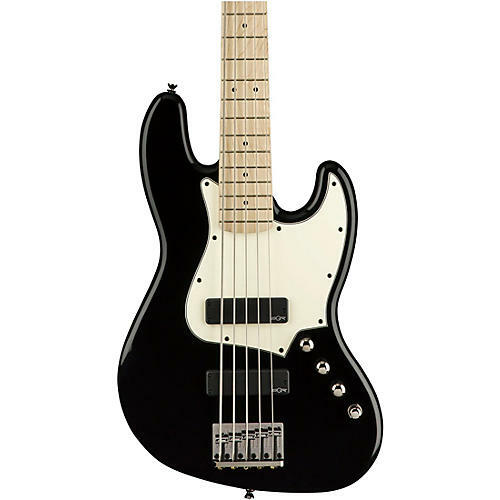 The Contemporary Active Jazz Bass HH V caters to modern players with a 12”-radius maple fingerboard on a slim, modern “C”-shaped neck profile, providing fast and comfortable playability. At the heart of this monster is a pair of Squier SQR ceramic humbucking pickups that produce high fidelity tone great for any style. Further enhancing tone versatility is an active 9-volt preamp, offering intuitive controls for volume, pickup blend, traditional tone and stacked boost controls for bass and treble. Case sold separately. Take your tone the next level. Order today.